get link Thank you everyone for the continued prayers for Emma today. While today wasn’t surgery day, it was still a long, hard day. In true Emma fashion, Emma has made us worry a little bit over the last 24 hours. About 11:00 last night the nurses couldn’t get her to wake up and her neuro check wasn’t as good as it had been the previous times. They paged neuro and the resident on call came and looked at her. By the time he got here they were able to get Emma to respond. 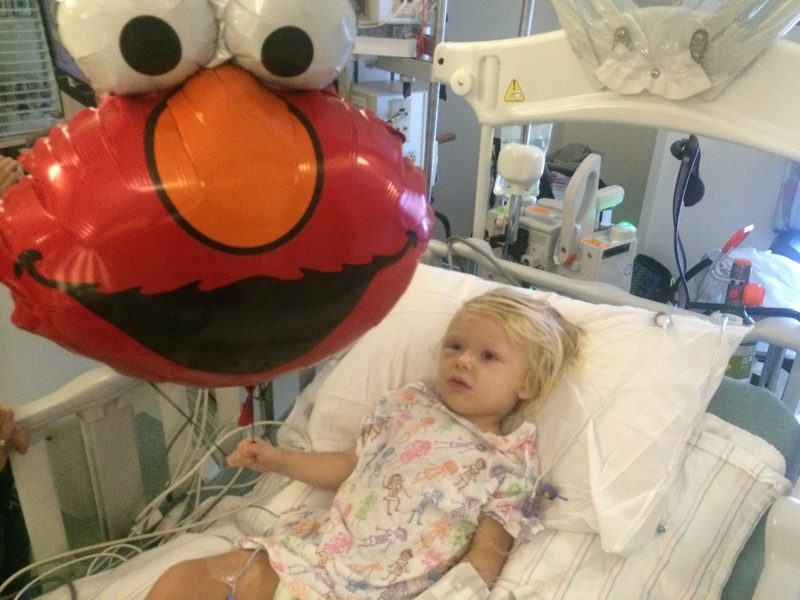 The nurses continued to watch Emma very closely over night, and did several neuro checks. Early this morning she woke up briefly and said a few things and followed some simple commands. Her neuro checks looked better at that point as well. click here Emma has been very tired all day today. In fact she has maybe been awake a total of 15 minutes all day. Of course Emma woke right up when Dr. G. came in today, but other than that we didn’t see her eyes again until late this afternoon. Dr. G felt that since you could arouse Emma and since her neuro checks had been stable since last night hat the reason she is sleeping so much is because she had such a big brain surgery yesterday. That combined with the sedation from yesterday, and that Emma also lost a lot of blood during surgery could be playing a part in it too. Dr. G. said we just need to give her a little more time. They have also been looking at her blood counts pretty closely today after losing so much blood yesterday. Her hemoglobin level was down to 2 at one point during surgery and she required a blood transfusion. The doctors were a little concerned this morning with some of the numbers in her blood work-up, but the work-up done this afternoon indicate that the levels they were concerned about have stabilized. They have also been watching Emma’s pupils in her eyes very closely. Emma’s right pupil is bigger than her left and has been that way since yesterday. Dr. G. feels that it is just irritation to the nerve from surgery, but they will continue to monitor that as well. http://waxdirect.com/?search=flomax-viagra-drug-interactions Emma had a rapid MRI done this afternoon and when she came back up from that her eyes were wide awake. It was definitely the highlight of the day. Emma was awake for about 10 minutes. She said a few words and almost gave us a little half smile when we played a little peek-a-boo. Emma was able to wave at us with her right hand and was able to move her other arm and legs a little bit. It was a relief to at least see a little bit of our sweet girl. It has most certainly been the best part of this day! I think I have spent most of the day just sitting and worrying about her. The rapid MRI showed that her 3rd ventricle and lateral ventricle were slightly bigger, but at this point the doctors feel that it appears this way because there is now more space in her brain where the tumor previously was. She will probably have another done this week to monitor things. go here I knew today would be a hard day, but I find it so hard to prepare yourself for this. Surgery day of course is a horribly hard day, but the first few days after surgery aren’t a lot better. Sometimes it is hard to remember that and prepare yourself for it. Even though we can be right here with her today, it is so incredibly heartbreaking to watch your baby go through this. It is so scarey to just sit and wait and hope that she opens her eyes. We pray that tomorrow brings more positive changes in the right direction for Emma. source url The good news is that even though it has been a long day, at the end of it Emma is stable and we have seen some improvements late this afternoon and evening. Days like yesterday and today make us realize all the more why we must continue to raise awareness and fight for a cure. Together we can and will make a difference so that other kids and families don’t have to go through this. what classification of drugs is viagra Staff from Carriage Hill using their free time to decorate Emma’s room. Thanks you guys!! enter site We want to express our deepest thanks and appreciation to each and everyone of you that has offered prayers and support for Emma and our family these last few days. There is no way we could have gotten through these last few days without the power of your prayers lifting us up. We want to say a special thank you to the group of friends from Carriage Hill who are busy tonight painting Emma’s room for her and helping to give her a beautiful new room for when she gets home. You guys are simply amazing!!! Keep those prayers coming for Emma to be more awake tomorrow and for continued healing and progress. 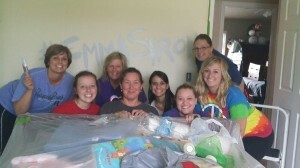 EmmaStrong! !